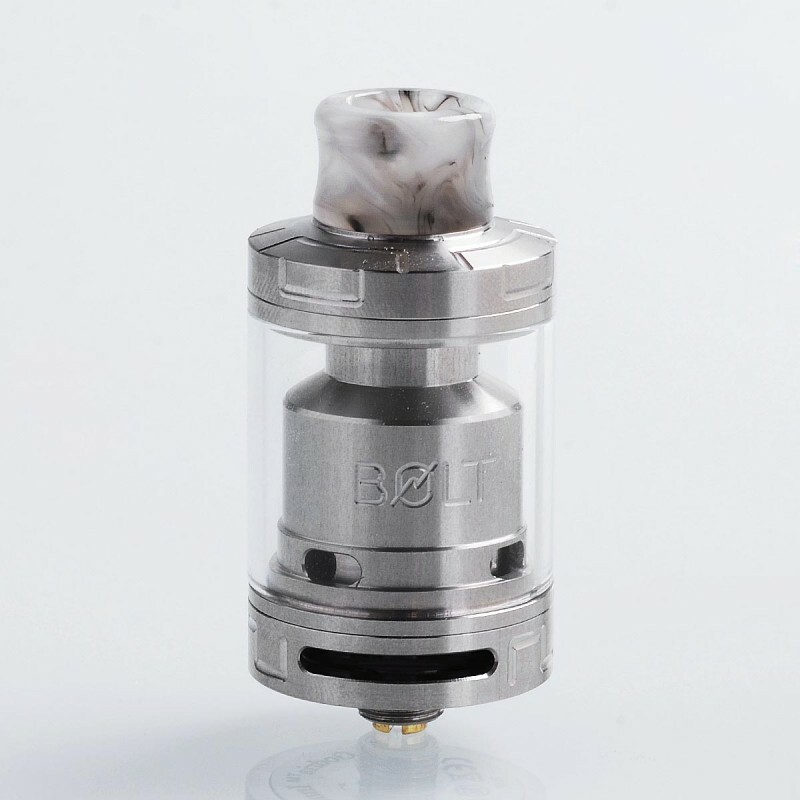 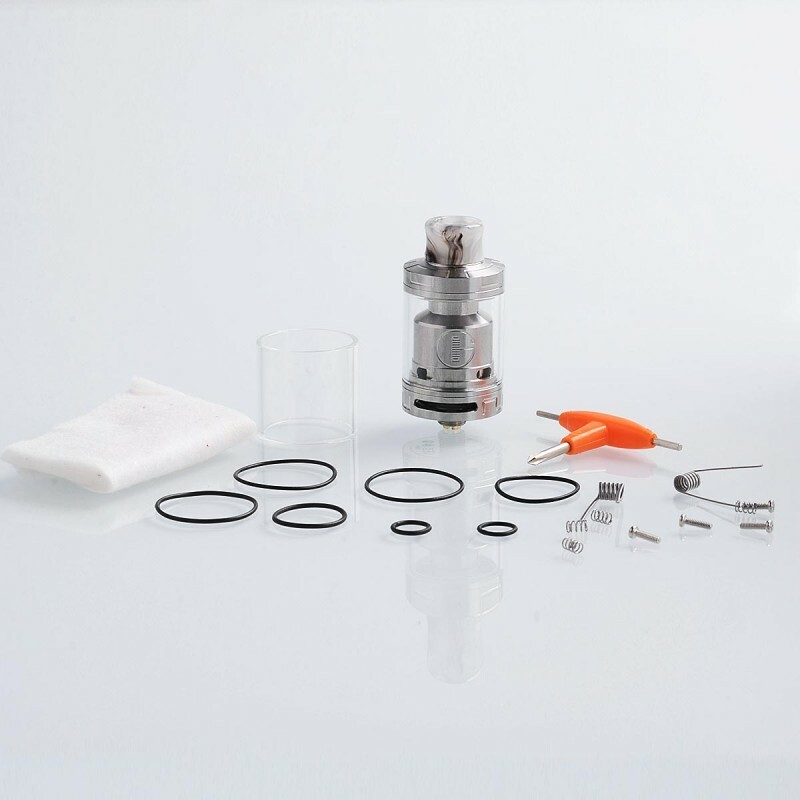 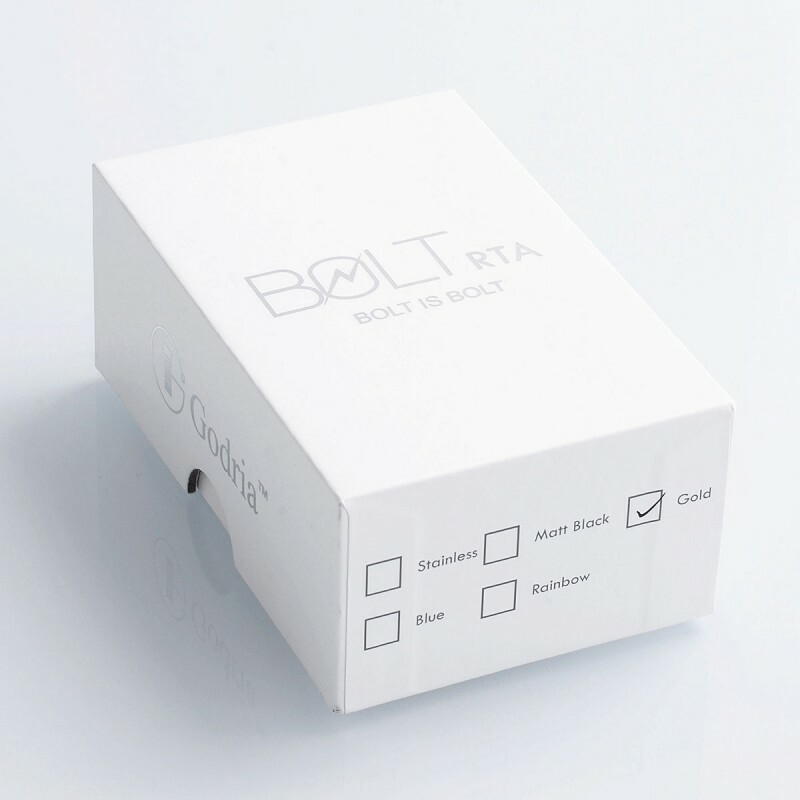 Godria innovatively utilized Goon style deck on a tank, the Godria Bolt RTA, which is a 24mm rebuildable tank with 2ml capacity. 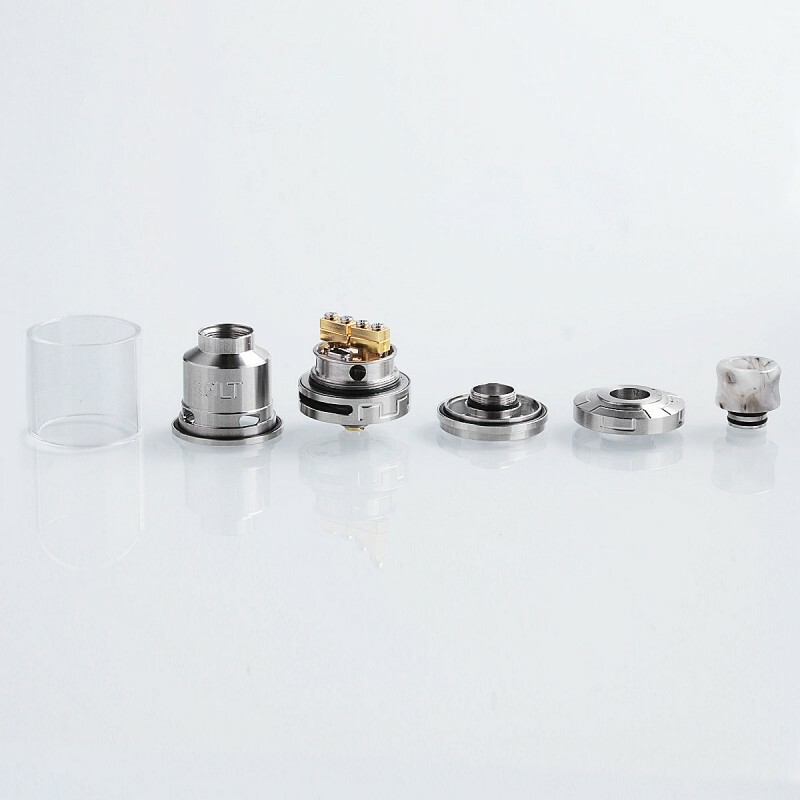 The whole deck and positive pin are gold plated and the screws are spring loaded, which means building coils is as easy as you can imagine. 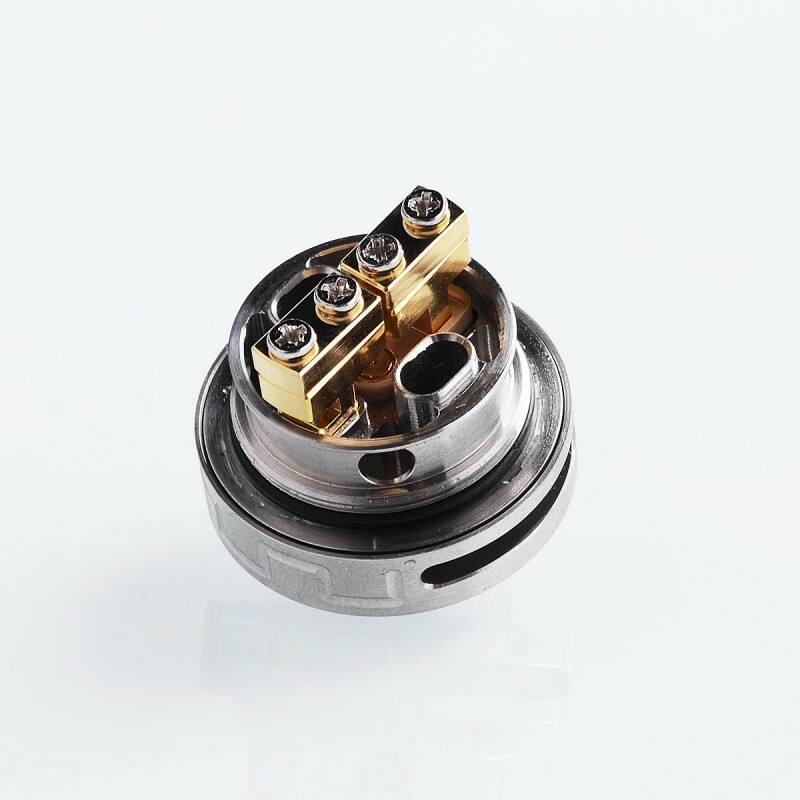 The precision airflow goes from the bottom to the coil directly. 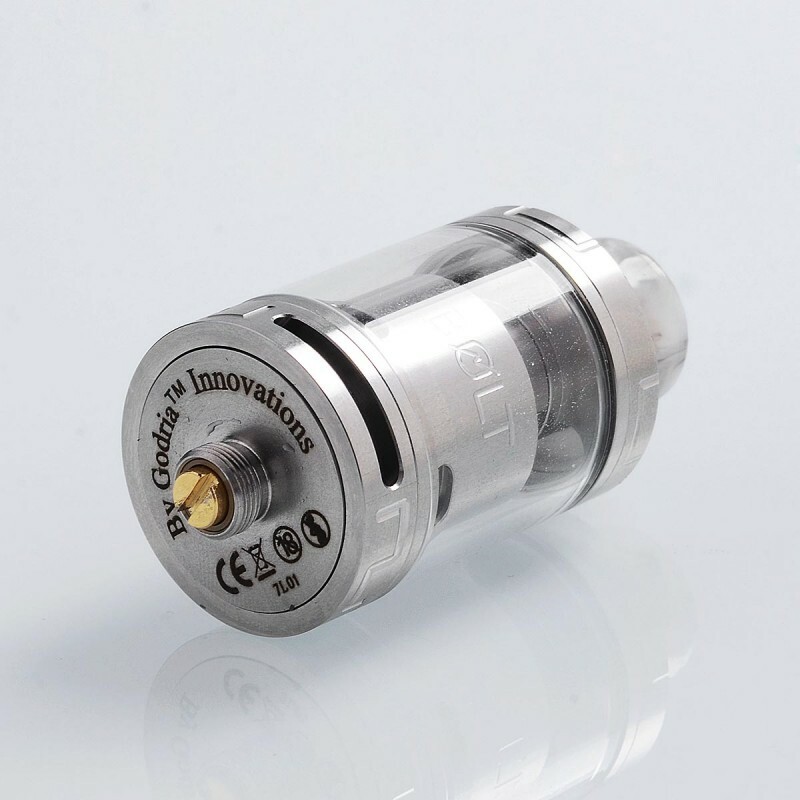 510 resin drip tip is included.